The Infinite Empire, the first known major galactic government, was founded and ruled by the Rakata, a scientifically advanced species that used their knowledge to conquer and enslave other species throughout the known galaxy, from Humans to Sand People. The Infinite Empire, as the Rakata called themselves, targeted worlds that were rich with the Force, which they conquered and then enslaved the populations of. The Rakata developed technology that allowed them to induce fear and hatred in Force-sensitive beings, and they used the Force-sensitives slaves among the populations they conquered to fuel their warships and technology by placing them in machines that converted the slaves' dark side emotions into energy. the Rakata spread out over the Unknown Regions and into the western galaxy by 35,000 BBY. 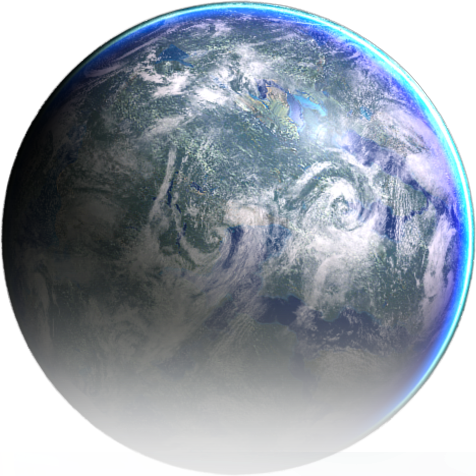 The forest world of Kashyyyk was one world captured by the Empire, and the Rakata installed a terraforming computer on the planet to manipulate Kashyyyk's wroshyr trees. However, the computer lost contact with the Rakata in 33,598 BBY, and over two hundred years later it malfunctioned, causing a hyper-acceleration in the growth of the wroshyrs. By 30,000 BBY, the Infinite Empire had reached its zenith, linking over 500 Force-rich worlds all across the galaxy. When the Rakata encountered Dathomir, the homeworld of the Kwa, they brutally subjugated the world in revenge for the Kwa's destruction of their Infinity Gates across the galaxy, and as a result the Kwa eventually devolved into the simpleminded Kwi lizards. Intrigued by the enormous rancors native to Dathomir, the Infinite Empire transported a number of them back to Lehon as curiosities, and they also succeeded in driving the Gree all the way back to their home cluster. The Infinite Empire introduced a rancor to the planet Gamorr, where it became a mythological creature in the culture of the native Gamorreans. The Infinite Empire turned the planet Belsavis into a prison world, using stasis technology to entomb monsters, warlords, and other powerful entities. And the reason the prison was constructed was the World Razer, a mysterious being whose hunger supposedly consumed a thousand worlds. The Rakata conquered a number of worlds in the region that was later known as the Core Worlds, including the planet Coruscant, which was home to the Human species. During the Infinite Empire's reign, the Esh-kha species began to overrun a number of Rakatan slave worlds, leading the Empire to attack the Esh-kha. One Esh-kha named Hallow Voice appealed to the Rakata to spare his species, but the Rakata strung out negotiations until they had contained the Esh-kha and then captured Hallow Voice. The Esh-kha were all imprisoned on Belsavis, locked in stasis vaults. The Rakatan warlord Soa, also known as the Infernal One, was one of the rulers of the Infinite Empire, though he was ultimately imprisoned on Belsavis in what became known as the Eternity Vault. Meanwhile...In the year 36,453 BBY, the 8 great pyramid ships known as the Tho Yor arrived at Tython, delivering Force-sensitive pilgrims from over a dozen worlds to the planet and causing an intense Force storm. The 8 smaller ships met with the 9 and largest Tho Yor above a great pillar of stone that reached high into the sky on Tython, and then each of the eight departed in a different direction to a different location across Tython. The Tho Yor remained at their final destinations after depositing their passengers, and the pilgrims soon developed into a cohesive culture of Tythans, realizing that the purpose of their gathering was for them to study the Force and harness its powers. Inspired by Tython's twin moons, the bright Ashla and dark Bogan, the Tythans came to understand the dual nature of the Force's light and dark sides, and they also realized that Tython itself would react to imbalance in the Force with powerful quakes and Force storms. With this knowledge, the Tythans formed the Je'daii Order, naming themselves after the word for "mystic center" in the language of the Talid species's Order of Dai Bendu. The Je'daii built nine great temples at the sites of the nine Tho Yor, some of which remained floating in the sky while others had landed in the oceans or on mountainsides. The Je'daii also constructed cities across Tython's surface, though as the pilgrims' second millennium on Tython came to an end, it became evident that those who were not Force-sensitive could not survive on the planet. The destruction of the city of Aurum inspired a second migration, where those Tythans who were not Je'daii departed Tython in starships and settled the other worlds of the nine-planet Tython system. Force-sensitives born on the other planets, the Settled Worlds, were brought to Tython for training as Je'daii, and the Tython system's way of life continued for over ten thousand years. However, resentment of the Je'daii among the Settled Worlds eventually led to conflict. In 25,805 BBY, the Despot Queen Hadiya united the crime barons of her homeworld Shikaakwa and conquered the rest of the Settled Worlds. She then turned her attention to Tython, and her army invaded the planet in a final battle a battle that saw the death of millions of Hadiya's troops and thousands of Je'daii. Hadiya herself was slain by the Je'daii Daegen Lok at the gates of Kaleth, bringing the Despot War to an end. Who is this Evil Presence? 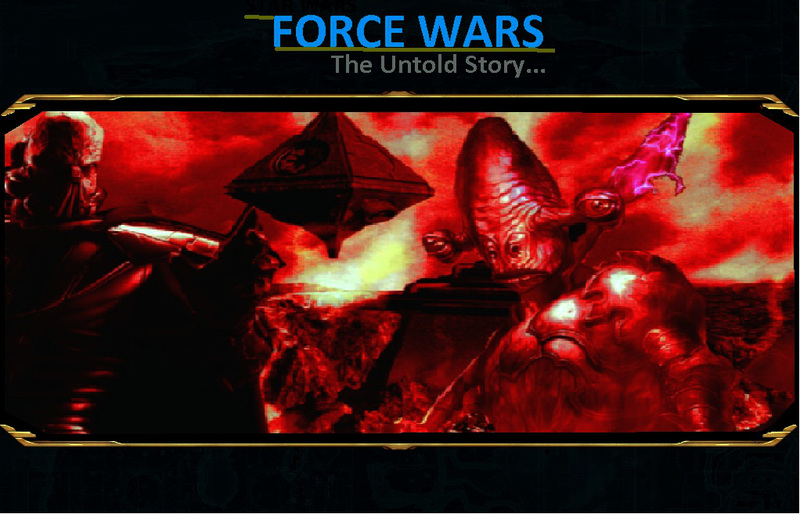 Can Thala Stop the Destruction of the Entire Galaxy in a Divided Era when the Force Wars are about to begin and the Empire of the Rakata Rule the Entire Galaxy ? Download The Game and Find out. Αναρτήθηκε από Deniskam στις 5:33 π.μ.